Discussion in 'General News' started by Ridemonkey.com, Jun 11, 2012. The mountain bike community is under constant threat from other land users and development projects, and in Southern California this ongoing problem is coming to a sharp climax. Inside you'll find the details on the situation and how you can influence the outcome...act now! 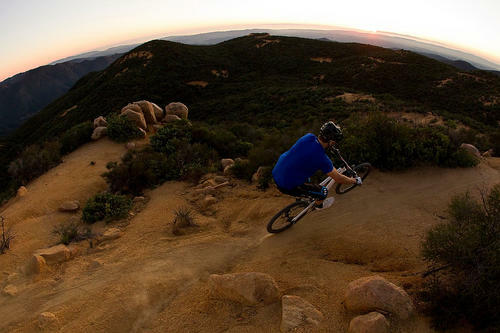 Attention mountain bikers: We risk losing legal access to some of Southern California&#8217;s most legendary singletrack if a revised land-management plan from the US Forest Service is approved. 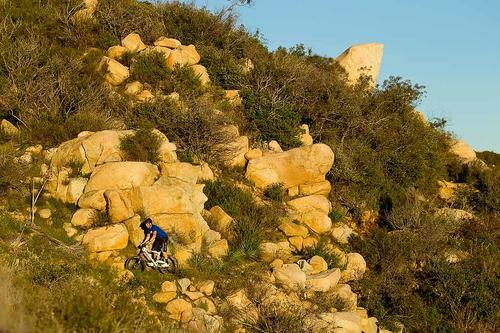 The heavily populated SoCal area already suffers from a dearth of legitimate riding areas, and the potential closure of several of the region&#8217;s remote backcountry rides could deal a crippling blow to SoCal mountain biking. Trails in four national forests&#8212;Angeles National Forest, Cleveland National Forest, Los Padres National Forest and San Bernardino National Forest&#8212;stand to become off-limits to mountain bikes if the Forest Service decides to begin managing them as if they had already been designated as legally protected &#8216;Wilderness&#8217; areas. So real is the threat that mountain-bike luminaries Brian Lopes and Hans Rey&#8212;who carved out their riding careers on these very trails&#8212;have been emailing their many contacts in a call to action. Jenn Dice, Government Affairs Director for the International Mountain Bicycling Association, is particularly concerned. &#8220;If we don&#8217;t win now, there&#8217;s a good chance we&#8217;ll lose access to these trails forever,&#8221; she told Bike magazine. Among the trails in jeopardy are the Agua Caliente, Golden Eagle, Fish Canyon and Burnt Peak Canyon trails&#8212;just to name a few. 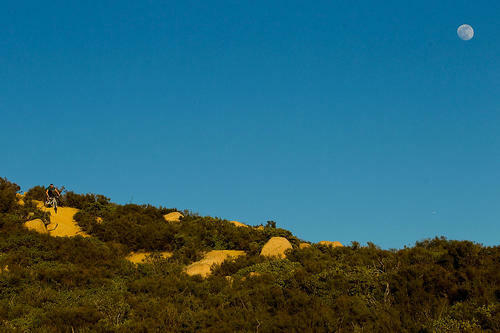 Singletrack in the Upper San Diego River and Eagle Peak areas are also likely to be affected. While most trails in high-traffic areas will retain their current designation and remain open to mountain bikes, the singletrack that will be affected constitutes some of Southern California&#8217;s most remote backcountry rides. While these trails don&#8217;t undergo nearly as much use as those closer to the main population centers, they still represent some of the region&#8217;s most treasured rides. 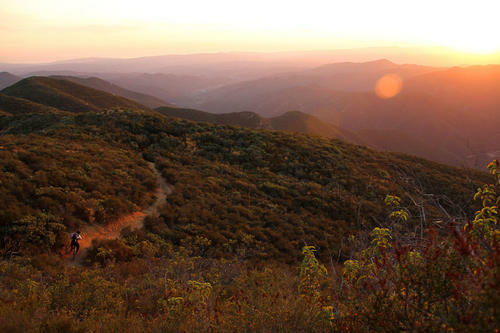 The current situation stems from a lawsuit brought by the State of California and several environmental groups against the US Forest Service, which ultimately resulted in a court order to re-evaluate the land-management practices in the four Southern California forests. 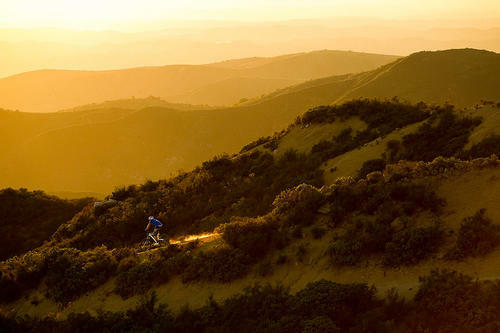 Now, as plans are being considered, the prevailing proposal paints a bleak picture for Southern California mountain bikers. Hundreds of thousands of acres now stand to be re-designated as &#8216;Recommended Wilderness,&#8217; or land that the US Forest Service recommends that Congress some day will designate as a national Wilderness Area. As one of the most restrictive designations, Wilderness Areas strictly forbid mountain bikes. This problem isn&#8217;t limited to California&#8217;s National Forests. Events in Montana a few years ago saw that state lose access to over 500 miles of trail in a similar decision. Designated as a &#8216;Recommended Wilderness Area,&#8217; the land in Montana is now being managed in accordance with Wilderness regulations, which bar all mountain-bike access. &#8220;We know how it played out in Montana, and this is exactly what&#8217;s happening in California,&#8221; said Dice. The ruling in Montana, as well as the pending decision in Southern California, signify a growing trend in national forests across the country. Dice is alarmed by the momentum and is quick to point out the necessity for grassroots support in the fight to maintain access. &#8220;We couldn&#8217;t get the groundswell of support that we needed, and that&#8217;s why we lost in Montana,&#8221; she said. Patrick Kell, IMBA&#8217;s Southwest Regional Director agrees. &#8220;We need as many people as possible saying, &#8216;Don&#8217;t designate these areas as Wilderness,&#8217;&#8221; he told Bike. Instead, IMBA is lobbying for the areas to be assigned a &#8216;Backcountry Non-motorized&#8217; designation, which still affords most of the same protections as the Wilderness status, while still allowing access for mountain bikers. Act now: The Forest Service will only be accepting comments through Monday, June 11th.